Fall is one of our favorite seasons at Trees n Trends. We've been celebrating with tons of fun Halloween decor and our new fall theme Autumn Splendor. Then, we remembered our wonderful Trees n Trends fans are always the BEST source of fall inspiration! 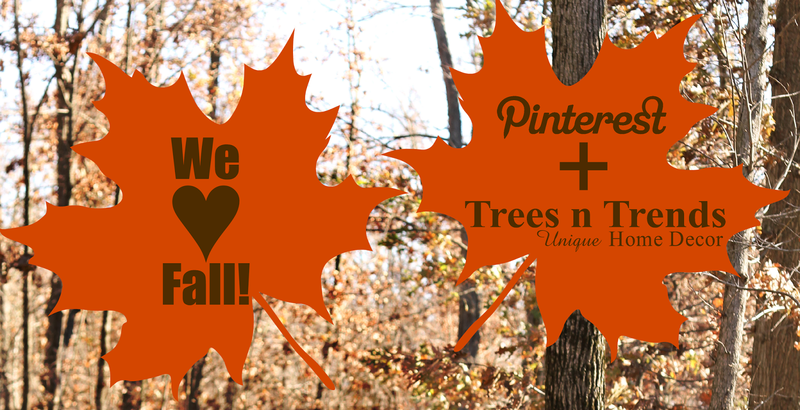 So, we created a Group Pinterest Board entitled "We ♥ Fall!" so that we can all see the fabulous fall creations all of you are creating at home, pinning for inspiration, or just loving this holiday season. We've already invited some of Pinterest followers but if you would like an invitation please just message us on Pinterest, comment on our Facebook page, or send us a Tweet!